Talk Back: Are conservative women unfairly stereotyped? This month's issue of Elle Magazine features an article titled "The Best and the Rightest" about a new generation of conservative women labeled as "Baby Palins" who are "stepping forward to dis feminists and cheer low taxes, guns, and motherhood." Many women featured in the article, such as Karin Agness, have taken issue with the "Baby Palins" label. "The Palin brand has been so damaged by the media that the 'Baby Palin' label serves the purpose of quickly stereotyping and delegitimizing us at the same time," Agness, founder of the Conservative Network of Enlightened Women, says. However, the article's author, Nina Burleigh, stands by her work, stating that the women profiled "are into guns and motherhood, and low taxes, a rather new conservative female ideology first introduced to the national political discourse by Palin." Not unfairly stereotyped. 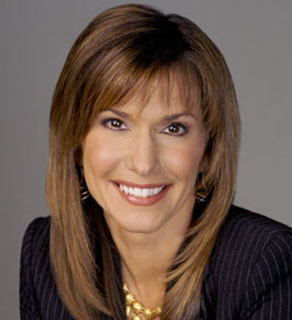 As far as I know all of the women Carol Costello mentioned follow the tenets of Sarah Palin. I'm going to read the article and see if I change my mind. I do want to keep an open mind because I think the right unfairly stereotypes women who call themselves feminists, but they don't have a clue about a person who is a feminist (in my view a feminist is a woman who has choices in life–to have a career, or not; to be married, or not; to have children, or not; to believe in a Christian or other God, or no god). Feminists live in a gray world, conservatives and especially, social conservatives, live in a black or white world. I wouldn't want someone who doesn't understand the "grayness" of the world, to be my President. Poor babies, love to dish it out but can't take it. This is typical , so no, Baby Palins and Conservative women are not unfairly stereotyped. When they are not preaching abstinence they are having babies out of wedlock, when not bashing 'socialists, Liberals and non gun toting wimps, they are bashing the media and wishing they could all be sent to the Cheney Academy of Sanctimony and Reformation. Please!.... Conservative women, just like their male counterparts, are simply doing what conservatives do best: playing the victims. "Stop picking on us, media!" The irony is that their aggressive and abusive tactics disguised behind a sweet baby Palin face will not solve serious economic problems, create jobs, protect women's reproductive rights, improve gay rights, or revive the middle class. These people shouldn't even be in the media! It would seem some enjoy or need to diminish others to prop up their vision of themselves. Wether women or people of color etc pushing down people is becoming the occupation of choice for those with an exaggerated view of themselves. Some would say when you are in the likelight you ask for it. I have not heard anyone suggest they want to be denograted. You may disagree with womeones ideas or approach. But how about realizing like them peopl will disagree with yours too. So with 300 million people in thes country maybe we all need to be more tolerant and respectfdull of the other because if not we too would be inviting denogration. Who cares? It is no worse than the stereotyping of democrats who are all painted as left wing eager to pay benefits to anyone who asks. What a joke! Incidentally When reporting about the demonstration in Washington about the oil sands in Alaska, you may have covered the story correctly, by stating the demonstration was about the plan to build a pipeline to carry the oil from Alaska to Texas. The danger to the environment is in addition to the filthy site itself. Cudos to Solidad O'Brian and her program about the mountain top removal for coal. It's about time the American public knew about these atrocious attacks on our environment. i am an election official for many years in a rural conservative district of Virginia. in the afternoon we always have plenty of conservative young mothers coming to vote. i know these women from the community and know they are very conservative. they home school (all their children are at home mid-day and it is delight to have lots of children 'help' vote); they have lots of children ( there are anti-abortion activists among them); guns are very popular in our area, and some of the fathers take off work to take their sons (and perhaps daughters) hunting on election day. i also know that many of these young mothers are profoundly heterosexist: i am gay and their comments to me sometimes are deeply disrespectful, even though i am a senior and a volunteer, which are roles that the community otherwise respect. i am delighted that they vote; i am frightened that they are voting out of hatred and fear. Women should be allowed to express their political views without retribution. Unfortunately, the media has been allowed to stereotype women. The media is trying to scare women away from the conservative ideologue. It is the worst act of discrimination. Please don't lump all women together. Palin and Bachman are picked on because one constantly makes errors on camera and the other chooses to lie over and over. There are good people on both sides, and many women on both sides. When people are on the extremes of either side, they tend to be targeted because they are not the norm. People don't want an extremist leader from either side. Stereotyped? No. The right wing always whines and crys like this when they are accruately described to a "T". Allow me to offer you a box of tissues.